It's time to "Meet The Bitcoins"! 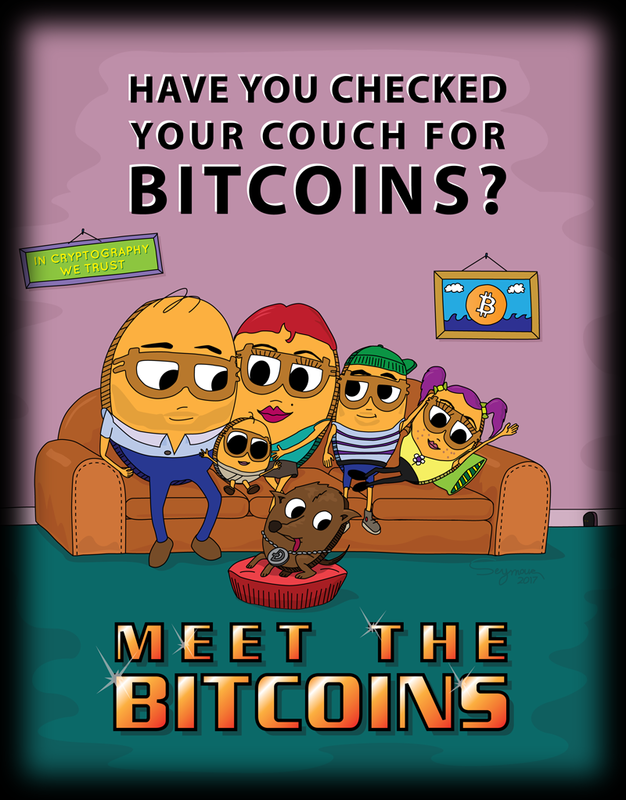 "Meet The Bitcoins" is an animated show in production about a family of Bitcoins and their everyday life, trials and tribulations in Cryptoville. Welcome to the adventure where this website will document our journey into the art and technology of realizing this highly ambitious and creative project, from character design and concept sketches to scriptwriting, music composition and 3D modeling and animation. 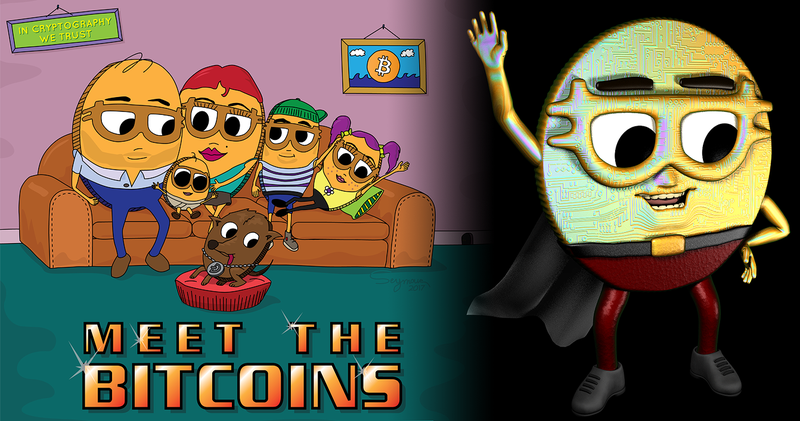 The mission of "Meet The Bitcoins" is to educate, entertain and promote the ideas and values of Bitcoin in a fun way. Be sure to meet the characters of Cryptoville and Fiatopolis in "The Pair of Dice Papers", a mysterious document recently recovered in a Super Black Ops mission. Stay tuned for updates and please join us on "Meet The Bitcoins" to participate in discussions, ask questions and make suggestions. It only takes a moment!